January is coming to an end and so is Whole 30. It has felt long, but also an extremely short 30 days. I'm ready for February. Another new beginning. I've grown up a traditionalist and liked things kept the same, but as I get older I always feel so refreshed with new weeks, new years, new months, new beginnings. Do you dread the start of a new week or month, or feel encouraged by the difference it brings? -Made my first sweet potato toast and O.M.G. Jill Bauer said just this morning on the Today Show that it is the new avocado toast! Just thinly slice your raw sweet potato lengthwise, run it through the toaster twice, then top with desired toppings! -I'm slightly obsessed with this recipe and want you all to make it. I posted this Crock-Pot Curry Chicken over Cauliflower Rice last week and you just haaaaave to have it. -I finally got some Vital Proteins Collagen Peptides after seeing it go viral on instagram. Collagen is essential in everyday health, but you can read more specifics here. VP powder dissolves into virtually anything. Put it in your morning coffee, tea, smoothie, soup etc. -Banana and almond butter is my favorite Whole 30 breakfast. It tastes so indulgent to me for some reason. A pretty presentation helps to! Just split your banana lengthwise, spread with AB, sprinkle with cinnamon and an optional drizzle of tahini. -Spicy Roasted Red Pepper and Tomato Soup was lunch everyday last week. The recipe is posted so you can enjoy it too! -I shared my step by step tips on how to make perfect fried eggs in a cast iron skillet in my insta stories on Thursday. Missed it? Leave a comment and I'll give you the run down. I then topped them with the goods: maldon salt, sumac and turmeric. -Woke up Sunday to then enjoy the most delicious brunch at recently opened, The Pritchard. A full restaurant review will be coming later this week! 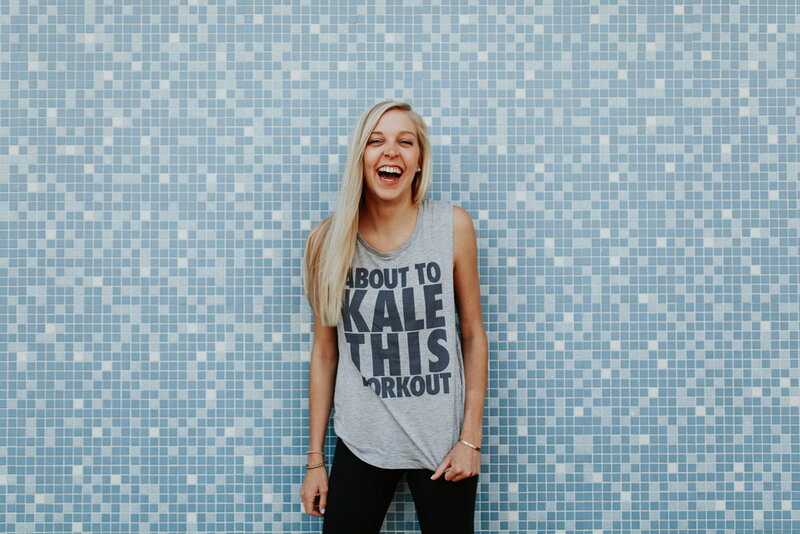 -StudioHop gives you access to a curated list of local fitness studios so you can enjoy one membership at multiple studios. They started in Dallas and are now coming to OKC! I'm so excited to help share the news! The fun starts 2/6, but sign up for their newsletter here (scroll to the bottom) so you can be the first to know more. Now #hoptoit! I can't tell you how giddy I am about today's post. 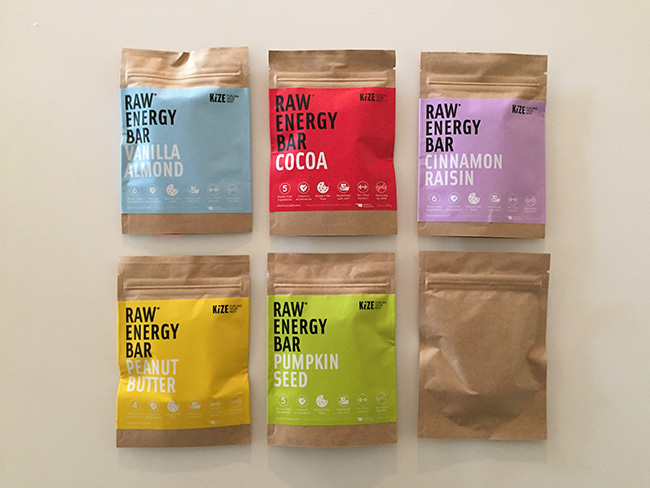 KiZE is a locally made energy bar created right here in Oklahoma City. It's an energy bar, meal replacement, snack, or really whatever you want it to be! Their goal is to help others maximize their success and live a happier, healthier and more purposeful life where they passionately pursue progress in mind, body, and soul. Their passion for mission is incredible. They constantly strive to serve others as well as giving back to the community - for example their partnership with Project Orphans to build family and community style homes for orphaned children in rural Haiti. I encourage you to view their GoFundMe Page to help support this mission! Let me start by telling you a funny story. KiZE started a few years back, actually by one of my sorority sister's brother. They used to come to the house to share samples of the products. The only problem being that all five of their flavors were made with peanut butter. Major problem for the allergic over here. I talked with them a random handful of times on how they need to make bars with almond butter! It's healthier and so delicious-I mean why not? After a few emails back and forth, I was even deemed the "almond butter girl" by one of the employees. Well three years later, guess what? KiZE is about to unveil their almond butter bar! Ahhhh the heavens just opened. I expressed my almond butter obsession last week after I made my own. Then, the very next day I got to try KiZE's new AB bar! It has yet to hit the market, but I got to have a sneak peek bite at their new flavor. I may be biased, but I think it's going to be a top seller! The flavor tastes like pure almond butter. They've added in raw sage honey, organic rolled oats, whey protein and even a little shredded coconut. It doesn't taste like coconut but adds the perfect depth of flavor! I like eating my KiZE bars for breakfast on those days when I'm rushing to work and need to grab something quick. Pictured here looks like a casual slow morning where I'm enjoying a cup of tea and blogging with my KiZE bar. Ya, so this is totally staged. Five seconds after I took this I threw my bar in my purse and bolted out the door! Meal on the flash! One of the fundamentals KiZE was built on. They started as a way to provide nourishment for those who are too busy to eat, or don't have the time to eat a healthy meal. No time to eat? Crazy talk, I always make time to eat. But I will admit sometimes it means scarfing something down as I speed off to work in the morning! Packaging is still in the works, but they are hoping to roll out the new flavor by end of August! In the meantime KiZE is offering a special discount code for all Take A Bite readers who want to purchase any of their bars! Just use the discount code TAKEABITE at checkout and you'll receive 15% off your order! This code is available through tomorrow, so get your orders in! If you want to find out more about KiZE you can visit their website, follow on Facebook, Twitter or Instagram! You can find them in local Whole Foods, coffee shops and fitness studios. KiZE allows you to give back to your body as well as others! Here is the link again to assist their mission in building homes for young Haiti orphans!